A bright day in effortless ruffles. It's the season of spontaneity, when anything is possible under the stirring sunshine. 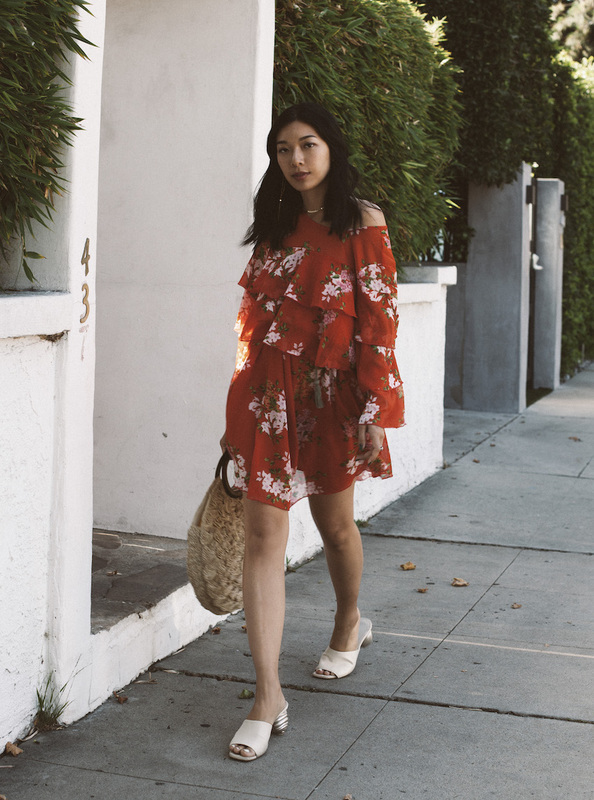 When a pair of jeans will take you from Mulholland to Nobu or a silky dress takes you from the boardwalk to the rooftop pool, there's infinite opportunities to live your best summer. 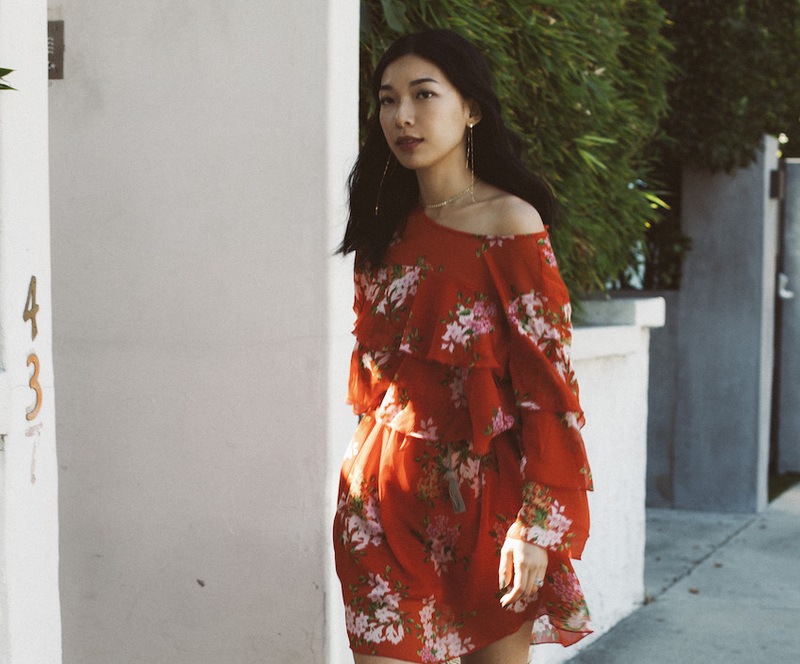 Who What Wear's latest summer collection at Target features cute plaid and polka dot prints, bare shoulder styles, and a ton of pretty dresses that are just waiting to live your stories to tell. 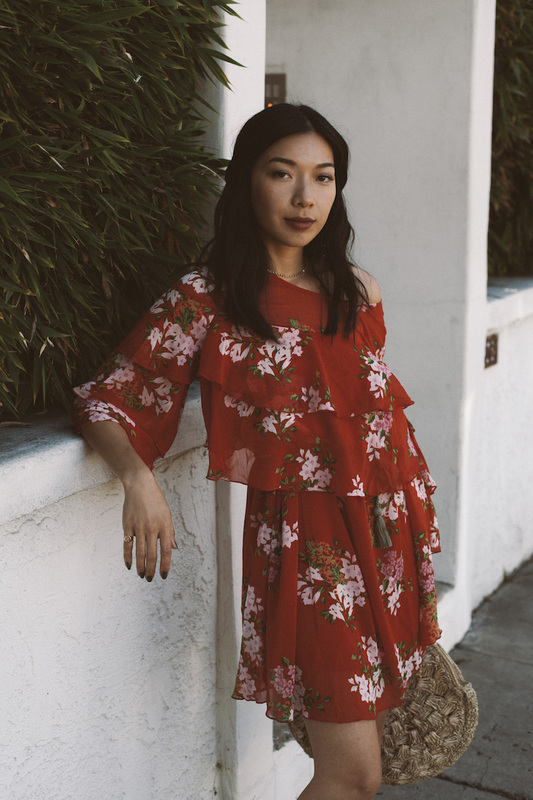 One of my favorite pieces from the collection is this rouge ruffle dress that has flowing chiffon layers and a feminine floral print. It's bold, it's romantic, and it's inspiring for a beautiful sunny day to be had. The Who What Wear collection is only available at Target and if you haven't shopped the collection's clothes and accessories, you must check it out! The quality and styles are incredible, while the prices stay so good. Shop the Who What Wear collection only at Target! That dress is so pretty! I love the color and the ruffles. I didn't realize that Target's Who What Wear collection had such cute things!